Today again a 13 year old boy of Uttar Pradesh hangs himself in his bedroom because of the Blue Whale Challenge. This is not the first case; India witnessed the first case after a boy in Mumbai committed suicide and was later found that he was under the influence of this game. Well, India is not the only country that has witnessed the case, but other countries like Brazil, UK, Italy, Argentina, Russia (origin of the game), Kenya, and few others have reported the suicide cases. Presently, more than 100 suicide cases have been reported globally and the number is increasing. This challenge is actually about taking 50 tasks which is killing many youngsters of India who goes against parental control and restrictions. This challenge is a suicide game where the player is given certain task by a curator for a period of 50 days. It includes watching some horror movies and isolating self harm. Blue whale challenge originated from Russia in 2013 and created by Philipp Budeikin (currently serving jail sentence in Russia), has claimed 100 lives in Europe and Russia, till date. The administrator Ilya Sidorov is also reported to be arrested in Moscow. 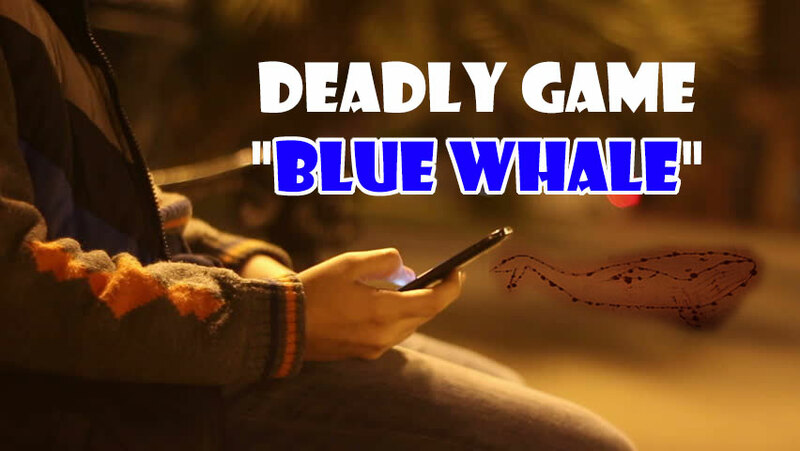 Initially this game was available on some social networking site and became popular with the belief that ‘sometime blue whales beach themselves in order to die’. The game is all about welcoming teenagers to the malicious mind games. The curator then assigns some task to the players everyday which will be fun as well as adventurous like watching horror movies, slashing body part, killing an animal or waking up at unearthly hours. The task they perform should be captured in photo or video form and send to the curator. If the player breaks any rule, then they will get punished. So, according to the reports the Blue Whale Game is said to be this. In India, the first case was reported of a boy from Mumbai Andheri last month. His friends claim that the boy was playing this suicide game, but the police is yet to find a link. Other similar cases are reported from Dehradun, Solapur, Kerala, Delhi, Jaipur, Indore, West Bengal, Punjab and today Uttar Pradesh. Reports also state that this is a typical creation of media to spread panic, no app or social networking site is found on any of the victim’s mobile phone. There are several reasons due to which teenagers are switching to such online suicide games. These may be due to depression or having a strong feeling to end their life, the blue whale challenge is about hat which glorifies and gives a purpose. It might sound difficult, especially for working parents to spend much of their time with kids, but it is highly important to have an open conversation with their kids. Giving right guidance, making them feel of your presence and guiding them in a friendly manner, helps kids to have an open conversation with you. Avoid having too much of parental control and restriction on every other thing. According to the 2017 study by McAfee's Connected Family, 49 percent of Indian parents are much more concerned about their child interaction with strangers in the online web world. So to avoid this, having a routine check about their online activities and explaining them about the web danger can help in bringing down the cyber crime. Organize a proper routine for kid's overall day activity. From surfing online to going to the bed, everything should have a balanced routine. Blue Whale challenge and other such online suicide games have the potential to grab the mind and attention of your kids in this mad rush world. It is up to you as a parent, on how you keep a tab over the kid and avoid getting misleaded by the dark web world.